City councillors are back at work and one of their first pieces of business may keep them at city hall well into the evening. 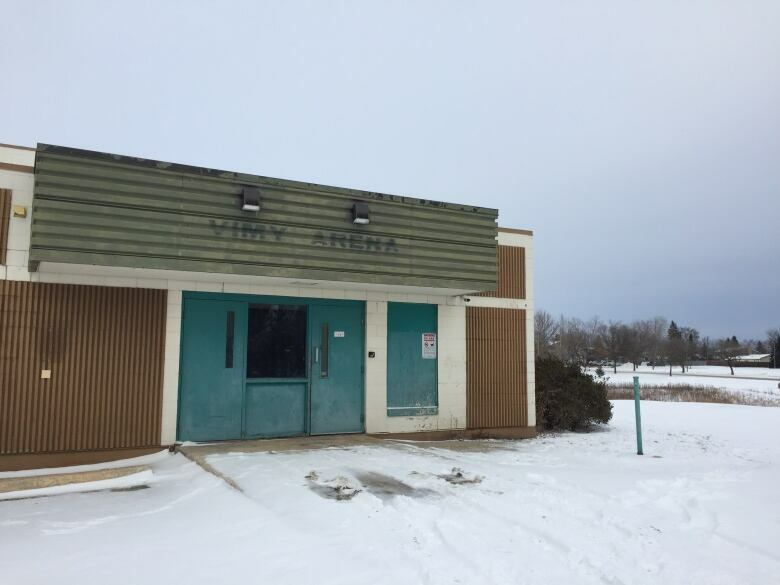 On Tuesday afernoon, council's Assiniboia community committee will consider a land-use plan that would make way for the Bruce Oake Recovery Centre, a 50-bed addictions treatment facility planned for the old Vimy Arena site on Hamilton Avenue in St. Charles. Supporters of the centre say Winnipeg desperately needs more addictions-treatment options and insist the centre will save lives. Opponents say it will have a negative effect on property values in the neighbourhood. The format of the committee meeting is a public hearing, where proponents and opponents may address councillors. Dozens are expected, creating the likelihood of a hearing that runs well into Wednesday morning if it is not adjourned and reconvened at a later date. At least not directly. City council approved the sale of Vimy Arena to the province for $1 back in January. The province intends to lease or sell the land to the Bruce Oake Memorial Foundation for the purpose of building the recovery centre. That sale, however, is contingent upon the successful rezoning of the land, which is currently designated as parks and recreation space. What council's Assiniboia community committee will actually consider tonight is a plan to split the land into two pieces, rezone one of the new parcels for multi-family residential use and allow the addictions-treatment centre to operate on one of those new chunks. There's no question — Winnipeggers who are passionate about the need for more long-term addictions treatment options will come out in force to speak in favour of the Bruce Oake Recovery Centre tonight. Likewise, opponents of the creation of this centre in a residential neighbourhood will be motivated just as passionately to speak out. But councillors Scott Gillingham (St. James), Janice Lukes (Waverley West) and Kevin Klein (Charleswood-Tuxedo) won't be considering the pros and cons of addictions treatment in general. All they can vote on is the specifics of the land-use plan, which calls for a three-acre parcel of recreation space to be split into two chunks, as well as a separate but related request to operate a rehabilitation centre on one of those parcels. One of the proposed new chunks, about half an acre in size, would remain recreation space and will be incorporated into existing parkland along Sturgeon Creek. The other, 2.5-acre parcel would be rezoned as residential space. That's where the 50-bed treatment centre would be built, in place of the existing, decommissioned Vimy Arena. The plan calls for the rink to be demolished, except for the western third of the rink surface. If that can be salvaged, it will house a new gym. If it can't, a new gym will be built and incorporated into the addictions-treatment centre. The centre itself won't offer detoxification services. "All prospective residents must be clean and stabilized when starting their recovery journey at the Bruce Oake Recovery Centre," city planner Devin Clark says in a report to Assiniboia community committee. Residents at the centre must also observe a curfew and submit to mandatory drug testing. "The Bruce Oake centre will only accept residents who choose treatment based on their own decision," Clark writes in the report. Even if Assiniboia community committee votes in favour of the treatment centre, supporters have three more hurdles to clear at city hall. The plan would then move over to council's property committee, which has the power to reverse community committee decisions. The plan also requires approval from council's executive policy committee and ultimately council as a whole. Not all of those bodies allow delegations to speak in favour of or against the plan. That's because tonight's vote takes place as part of a quasi-judicial hearing. But that won't stop supporters and opponents of the plan from returning to city hall three more times. The loudest opposition to the addictions-treatment centre has, in the past, emanated from some residents in the Crestview area, independent Manitoba MLA Steven Fletcher and former city councillor Shawn Dobson, who represented the old St. Charles ward before it was dissolved in September. Dobson's loss to Coun. Scott Gillingham in St. James in the election last month means only two opponents of the addictions-treatment centre remain on city council. Councillors Ross Eadie (Mynarski) and Jason Schreyer (Elmwood-East Kildonan) are the only sitting councillors who voted against the sale of Vimy Arena back in January. While this does not guarantee every other member of council will vote in favour of the treatment centre's plans, it does suggest the opposition doesn't have many allies at city hall. That means even if treatment-centre opponents show up in large numbers this evening and ensure the hearing stretches into the wee hours of Wednesday morning, they are unlikely to gain much traction among councillors. Mayor Brian Bowman has made the addictions-treatment centre a political priority and even some of his usual council critics — namely councillors Janice Lukes (Waverley West) and Jeff Browaty (North Kildonan) — are likely to support the plan.